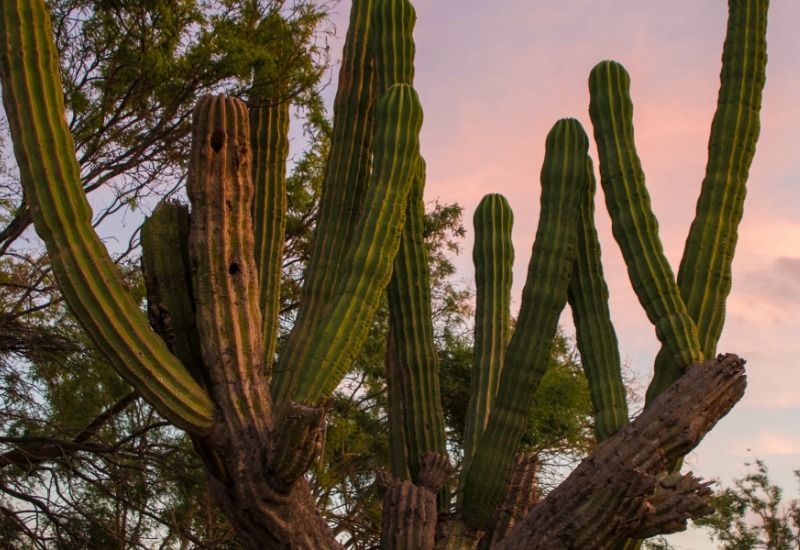 The mighty cardón (Pachycereus pringlei), the Colossus of cacti, can sometimes dominate the landscape in the peninsula of Baja California in such density that it forms a forest of towering cacti. 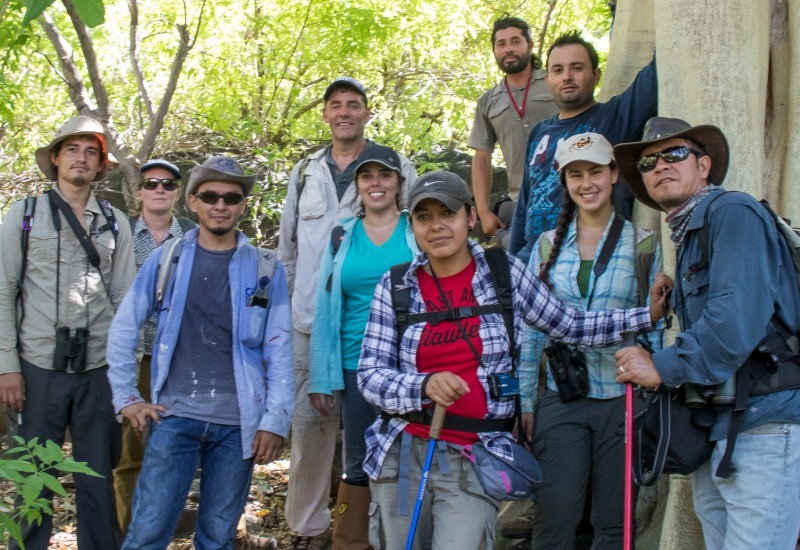 In November 2017, more than 35 researchers and students from Mexico and the U.S. joined forces to conduct a rapid biodiversity assessment in one of Baja California Sur’s most spectacular cardón forests. The area, stretching from the foothills of the Sierra la Gata to the dunes of Bahia de la Ventana near La Paz, is packed with thousands of cardóns, including some of the largest cacti on the planet. Cardóns are well known to be hubs of biological interactions. At night, bats pollinate the cardón flowers that are abuzz with nectar- and pollen-loving insects during the day. Just about any animal that can access the fruits will partake in the sweet seedy pulp. Woodpeckers excavate nesting cavities that are later inhabited by purple martins, desert iguanas, and a variety of owls. So, it naturally made sense to bring together researchers from across multiple disciplines to unveil the area’s hidden diversity. Following the data analysis and species identification, we will publish a bilingual report on the area. 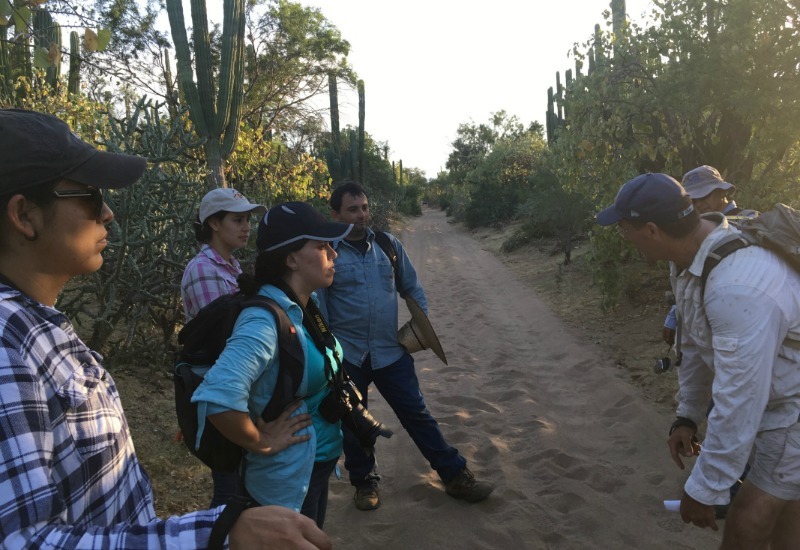 In addition to building upon the Museum’s ongoing interests in the biodiversity of Baja California Sur, data from the expedition are being used by local citizens working to have the region designated as a protected area. Expeditions, like much of the research the Museum does, center around the very simple question, “What lives where?” Although simple, the question is fundamental to biodiversity conservation. What to save? Where to save it? Our expeditions focus on areas that are not well documented. One expedition at a time, we attempt to fill those voids and contribute to the conservation of some of the most amazing places on Earth. Photos by Deborah Small and Daniel Galindo. Posted By VP of Science and Conservation Dr. Michael Wall.